Left with a sense of frustration that’s been building over a variety of things, I’m disheartened. It’s been a long day and I’m completely spent. Today I worked a lot of hours helping to unravel the financials of a local non-profit organization that’s been around for over 70 years. They literally hold the historical archives of our beautiful county within their vast collection. Not just local development and community archives, but also much of this nations rock & roll history, because a boatload of music legends were launched from right here. Mismanaged by a string of executive directors and board members, this organization has gone completely off the rails. Millions of dollars were squandered, and lofty expansion efforts were abandoned. With financial disaster looming, a majority of the staff has been let go. The Board is in shambles…most have jumped ship with differing opinions on the future direction of the organization. There has been such lack of financial oversight that it angers me personally. Sleuthing out the money trail has been an eye opener. This morning I find that in the past two days since I was there last, a new financial entry has appeared in the books. The President of the Board has written a check to herself. A substantial check, as payment for ‘professional consulting’. 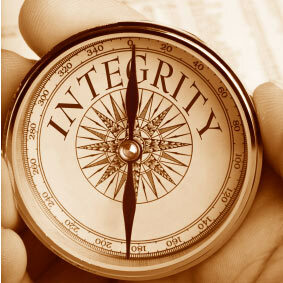 Has integrity become obsolete? This is the big question that looms in my mind. I wonder how folks sleep at night.